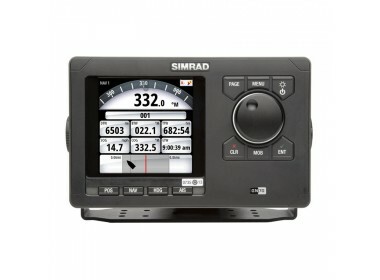 Please fill in the short form below with your question, either about the Simrad GN70, or for some technical advice. Please include details of your vessel if you feel they will help us answer your query. 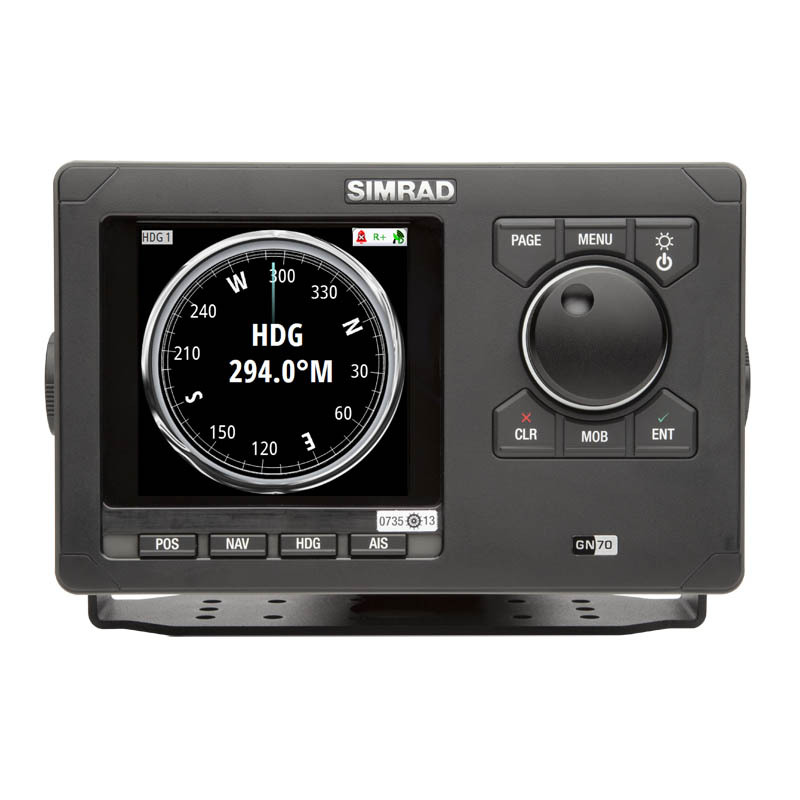 The GN70 is a versatile global navigation system that offers a NMEA 2000 (N2K) interface for easy plug-and-play connection to high performance modules such as the AP70/80, Class B-AIS, and other navigation systems that are N2K enabled. It can be used as a single display, or multi-unit redundant displays. 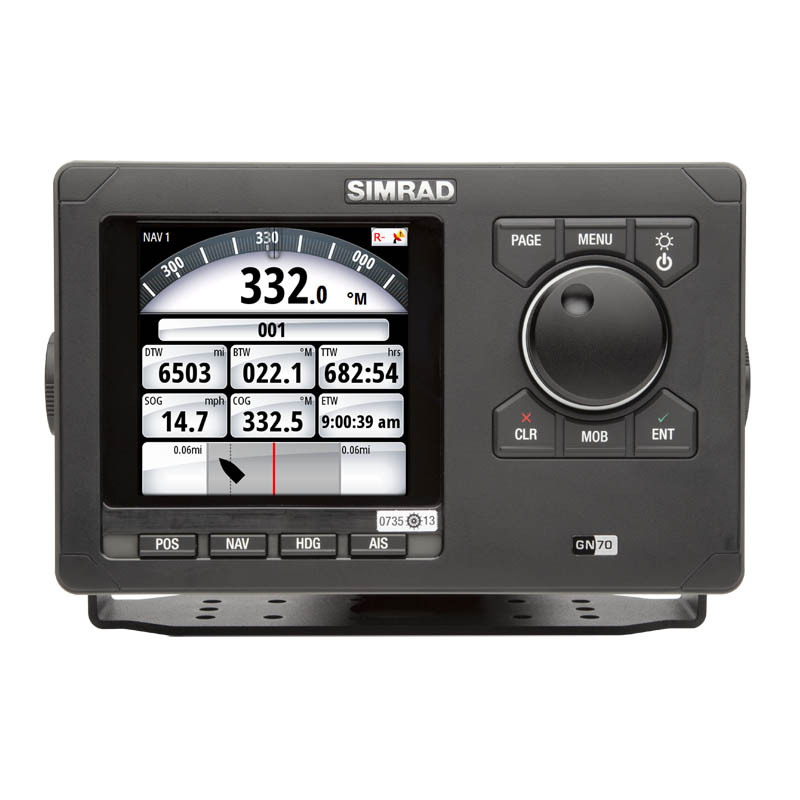 The NMEA 2000 interface means the user can change things like backlight settings across all Simrad NMEA 2000 capable electronics on the bridge, or switch to a different heading source all from the GN70 display. 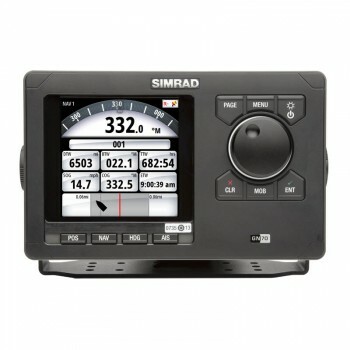 The system has convenient data interface using SimNet and NMEA 2000 Network including simple plug-and-play connectivity to other N2K enabled systems. The 5” bonded display provides for clearer, fog-proof operation and a 16-bit colour TFT display provides a wider viewing angle. With a rotary knob for easy ‘push to enter’ functionality and dedicated hot keys for position, navigation, heading, AIS and MOB providing ease of access and use for the operator. 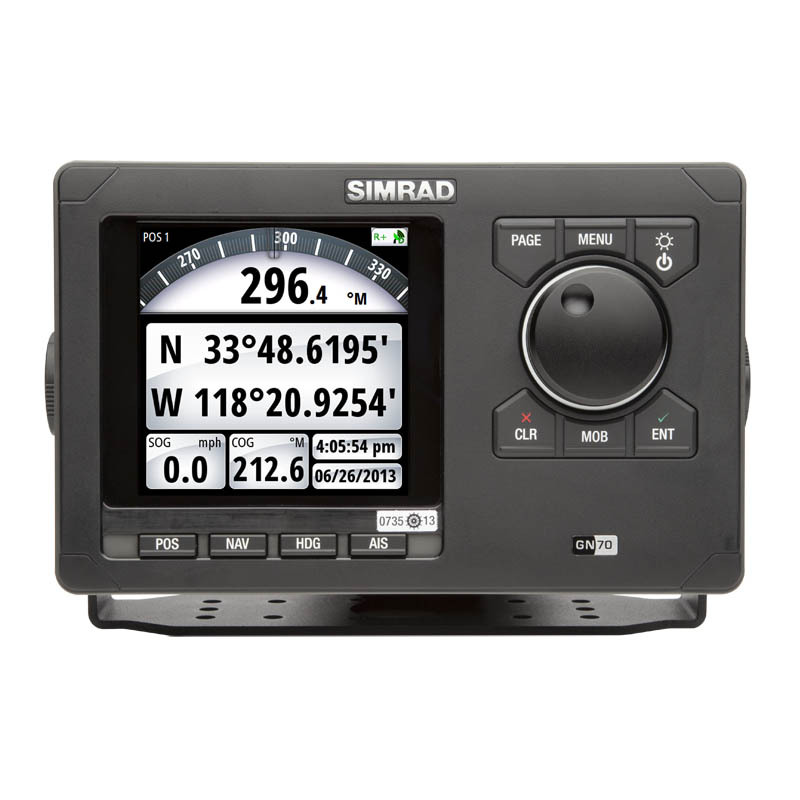 The GN70 is an IMO type-approved navigation system with the MX521A or MX525A/MX5B D/GPS antenna (via the MX610JB –NMEA 2000 to NMEA 0183). The GN70 is also compatible with the HS80 and MX575C DGPS compasses (via a N2K connection or through the MX610JB).